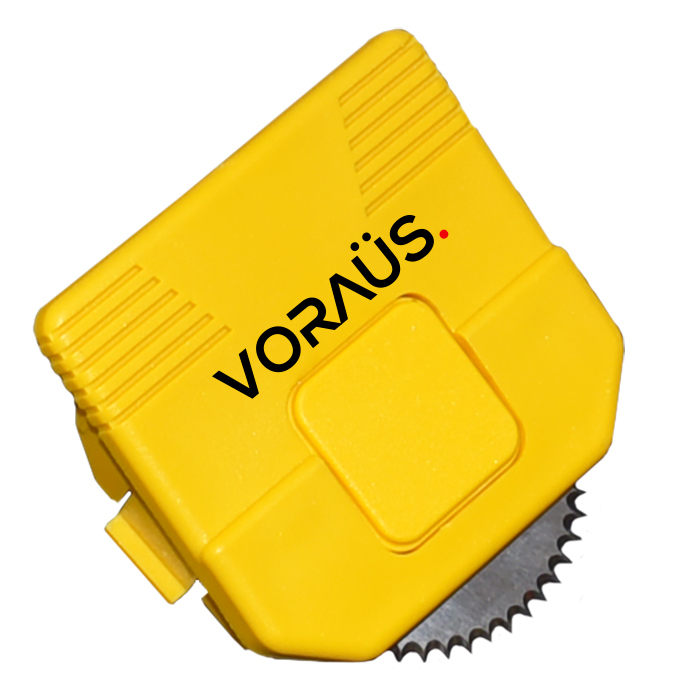 The Voraüs range of market-leading industrial roll dispenser stands and cutters bring together iconic design and functionality, creating a portfolio of products that will deliver efficiency and effectiveness to warehouses and packing rooms. Heavy duty frame and components to withstand continuous use in a warehouse environment. 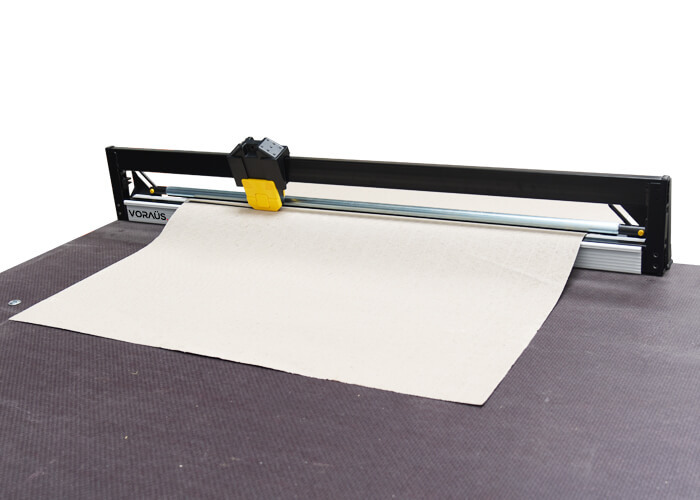 Full range of options available to provide the suitable dispenser and cutter for different packing materials. 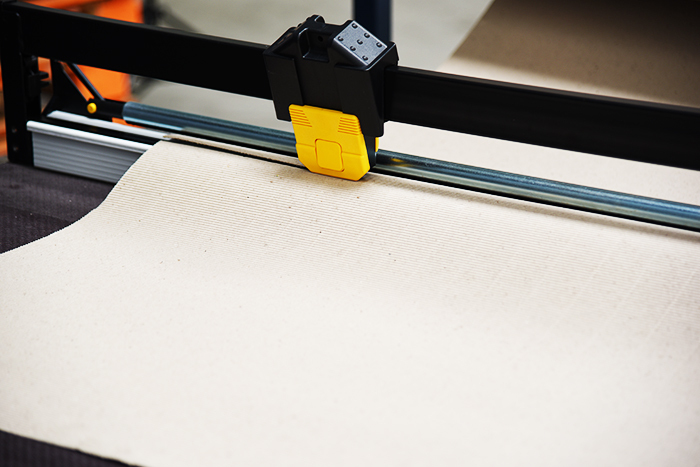 Static or mobile versions for efficiency in the packing room. 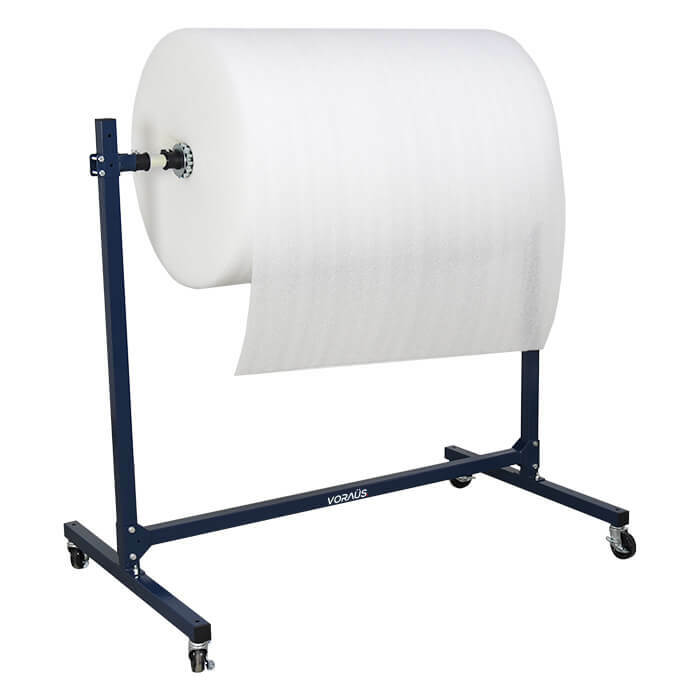 Roll Dispenser Stands & Cutters. 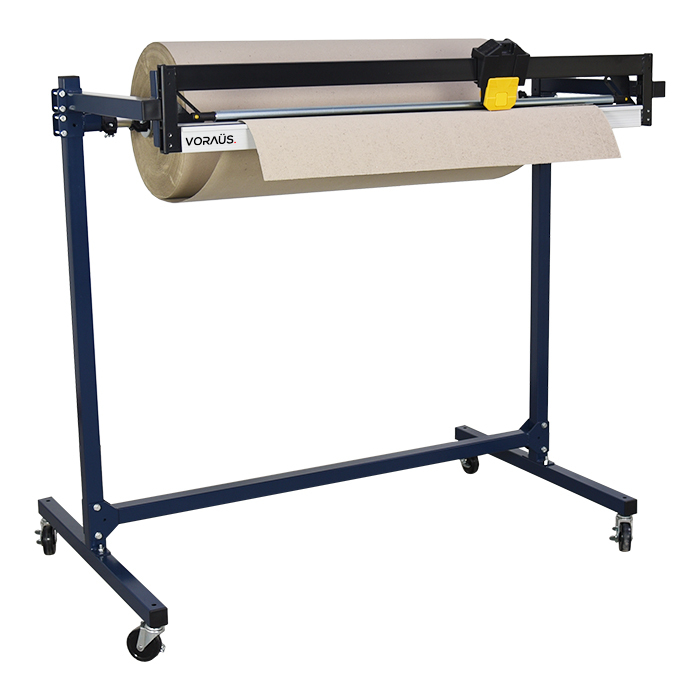 With many packaging materials being supplied in large, bulky rolls, the Voraüs range of roll dispenser stands and cutters help to increase efficiency and output in the packing room. 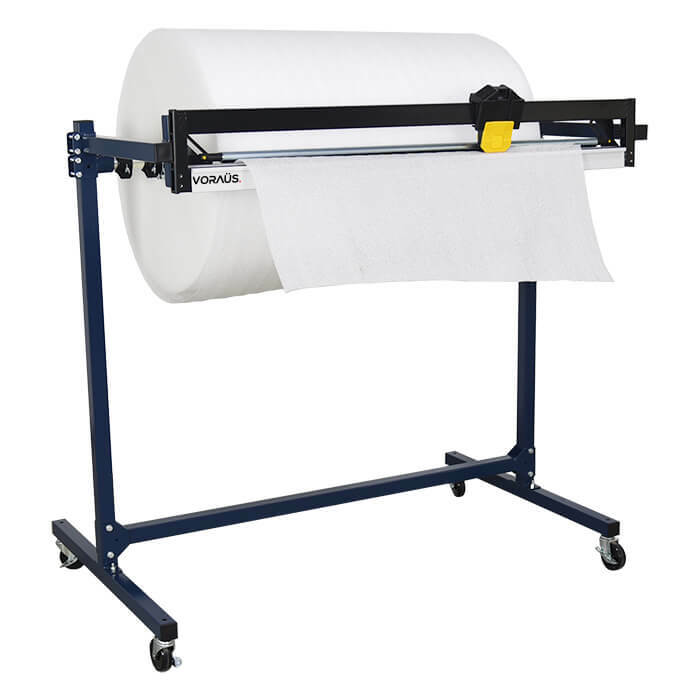 These versatile dispensers help to create a better and more efficient workflow, making it easy for your team to wrap and protect your products effectively, reducing the risk of damage in transit. 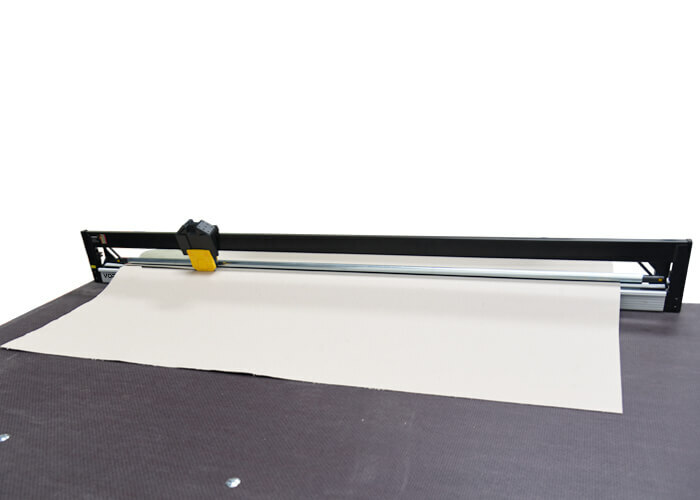 The range provides a solution for many applications, with working widths of 1m up to 1.5m, single or double roll mandrels and cutters for bubble wrap, foam sheet and polythene as well as paper and cardboard sheet rolls. 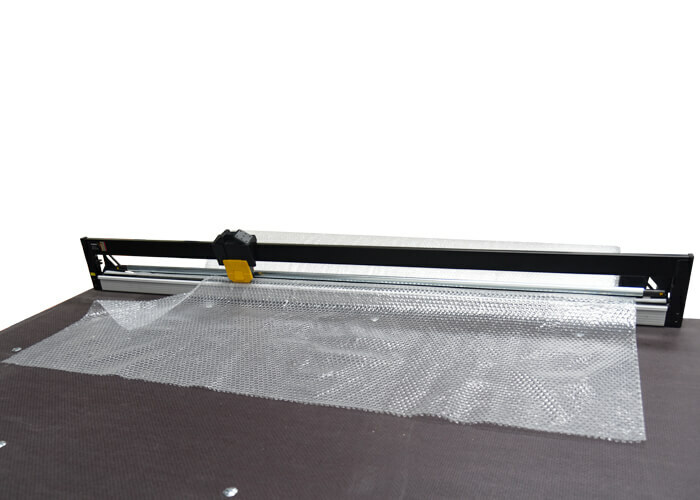 The all-metal construction and high-quality components used on the dispenser stands and cutting frames for continuous use in even the most demanding environments. 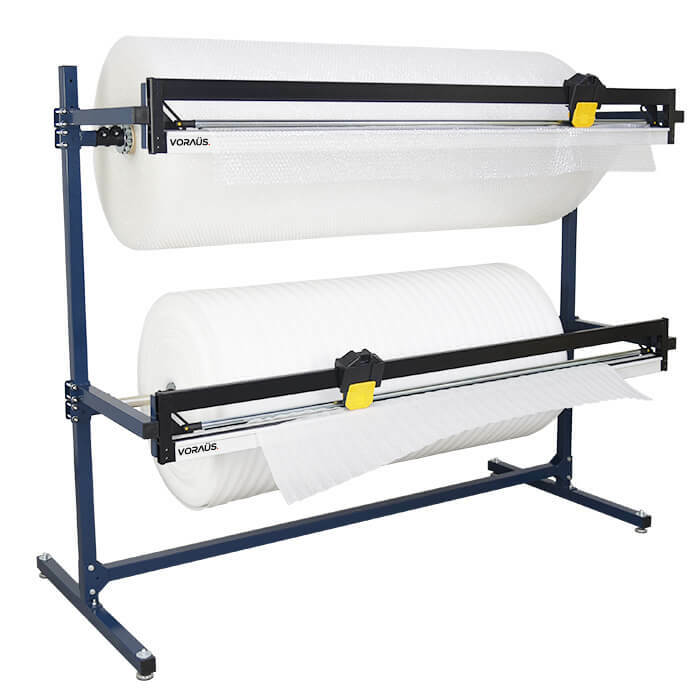 As the e-commerce, “pick and pack” and 3rd party logistics industries continue to grow, roll dispensers are fantastic for packing rooms. These dispensers are often used in conjunction with a packing bench or in a packing line, delivering an efficient, effective and affordable solution to for the packing department. 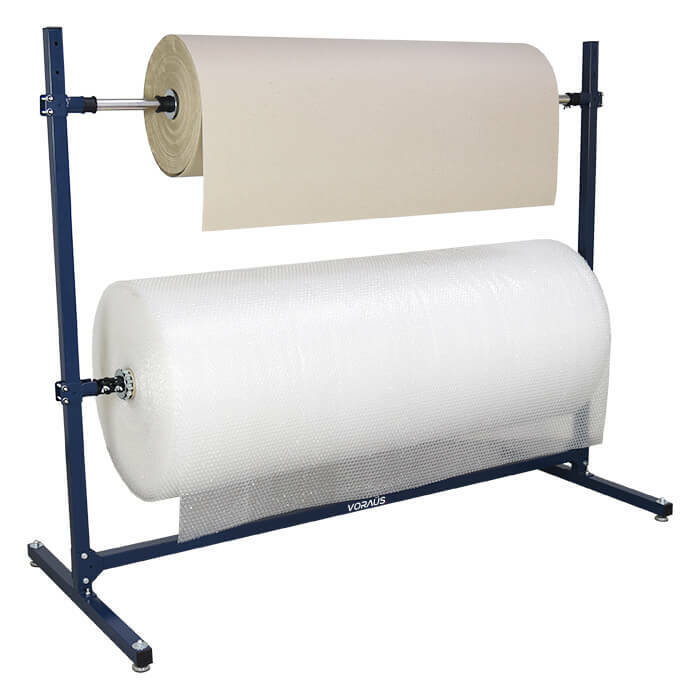 Roll Dispenser Stands complete with cutters for Bubble, Foam & Poly. Description. W x D x H. (mm) Code. 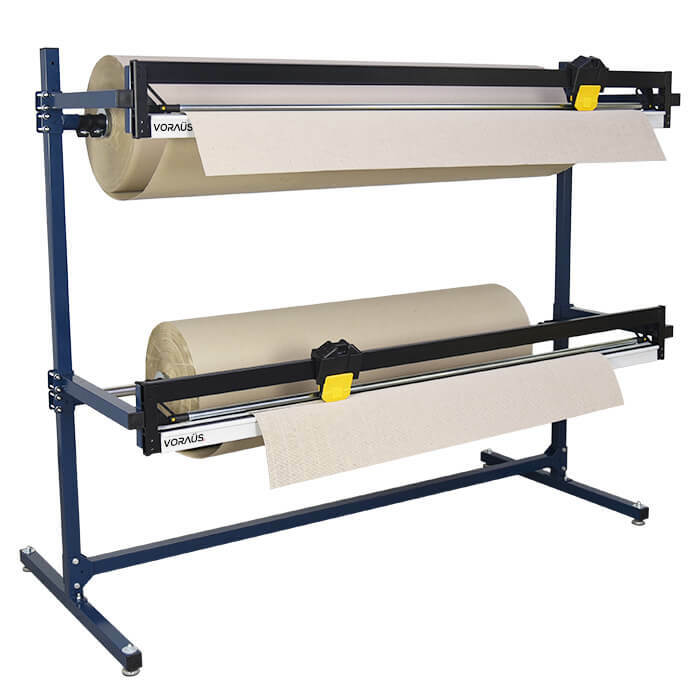 Roll Dispenser Stands complete with cutters for Cardboard & Paper. 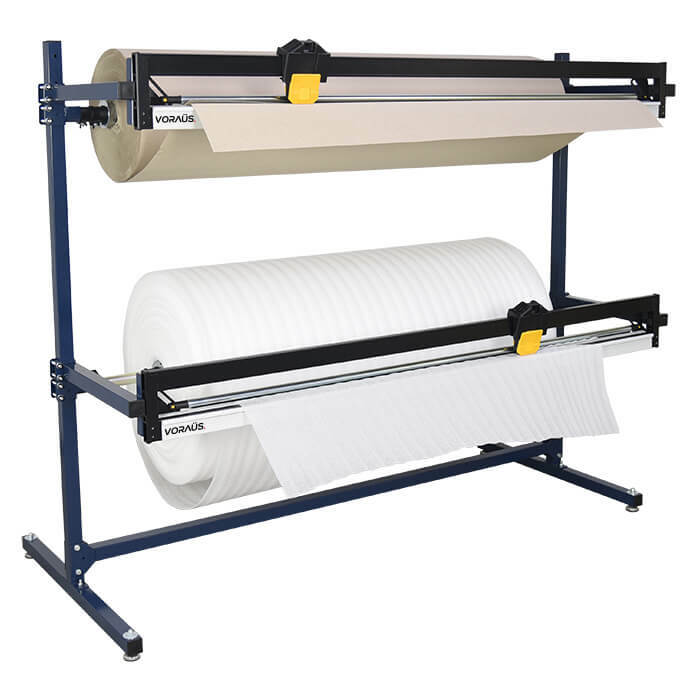 Roll Dispensers Stands complete with cutters for Cardboard & Paper + Bubble, Foam & Poly. 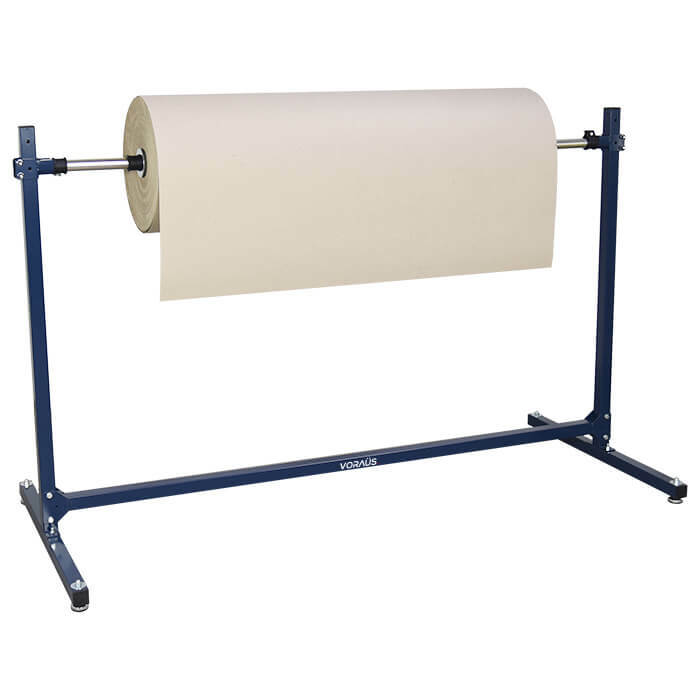 Roll Dispenser Stands (without Cutters). 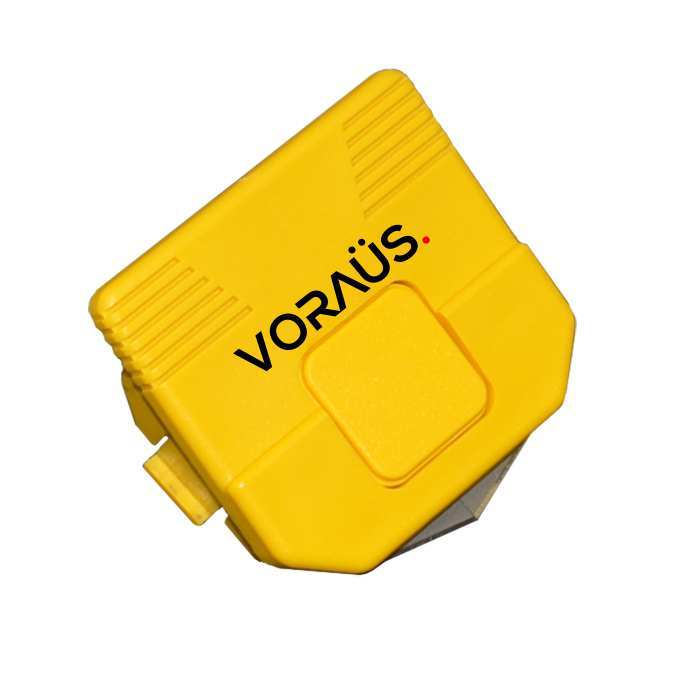 For requirements that need a cutter fitted to a packing bench, the Voraüs range also includes heavy-duty bench mounted cutters for packaging materials including bubble wrap, foam sheet, polythene, kraft paper and corrugated paper. 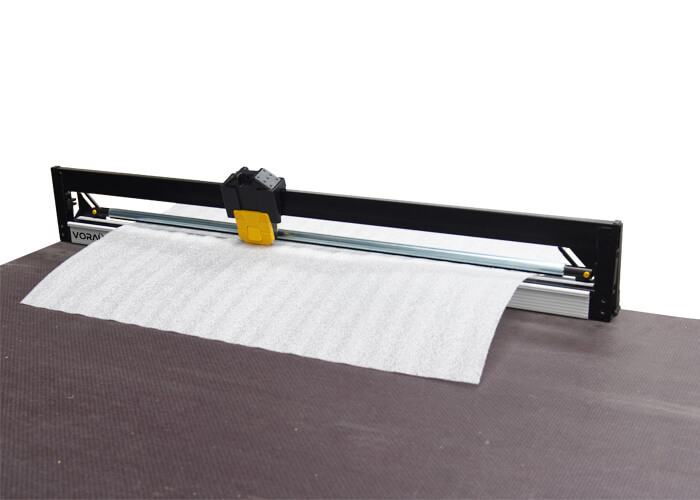 These allow the material to be dispensed and cut straight onto the packing surface, making the process faster and more efficient. 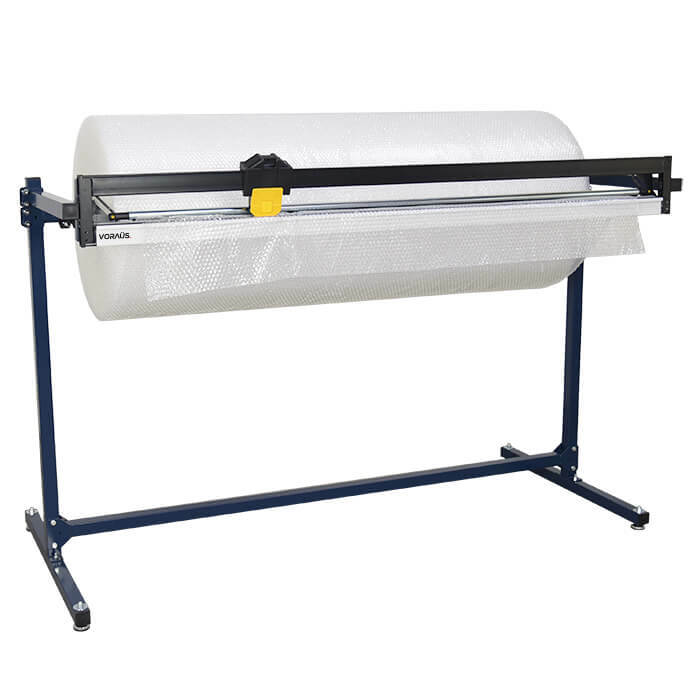 Bench Mounted Cutters for Bubble, Foam & Poly. 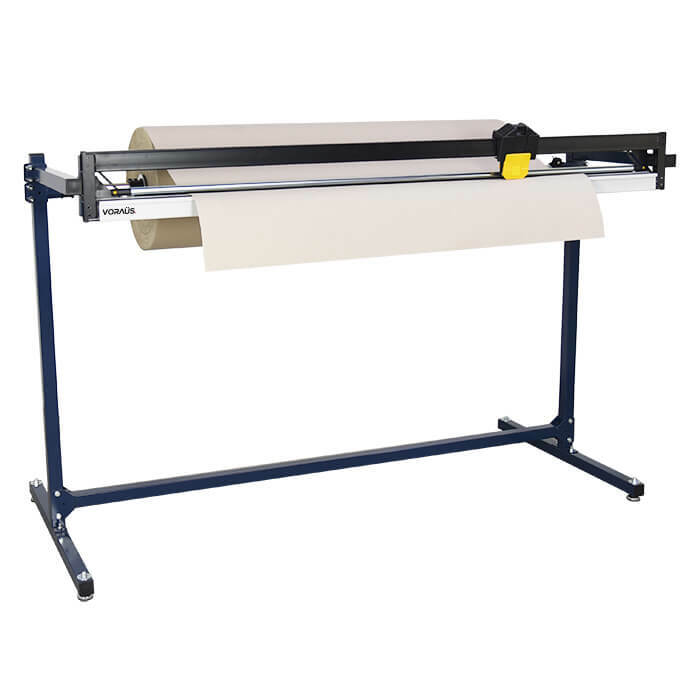 Bench Mounted Cutters for Cardboard & Paper. Optional Braked Castors for All Roll Dispensers.